President Donald Trump floated the idea that the United States, China, and Russia may come together to discuss collectively cutting back on weaponry investments. Trump has made it one of his priorities to increase military spending, convincing Congress to approve $700 billion last fiscal year and $716 billion this one. But he also hinted that his reasons had to do with countering the military buildup of China and Russia. “We will never allow anybody to have anything even close to what we have,” he said. No concrete agreement, however, came out of the talks. Instead, Trump said he’ll quit the 1987 Intermediate-Range Nuclear Forces (INF) treaty with Russia. The treaty doesn’t allow participating countries to “possess, produce, or flight-test” a ground-launched cruise missile with a range of between 310 and 3,420 miles or to possess or produce launchers of such missiles. The United States and the Soviet Union destroyed nearly 2,700 missiles by the treaty’s deadline in 1991. But for five years, the United States has maintained that the Russian 9M729 missile violates the agreement, as its range exceeds 310 miles. “If they get smart and if others get smart and they say let’s not develop these horrible nuclear weapons, I would be extremely happy with that, but as long as somebody’s violating the agreement, we’re not going to be the only ones to adhere to it,” Trump said in October. Russia has denied the missile could strike that far. “For our part, we are fully committed to the INF Treaty,” Russian Deputy Foreign Minister Sergei Ryabkov said in December. Ryabkov also accused the United States of violating the treaty by deploying missile defense launchers in Europe, because they can be used to fire offensive missiles too. However, there’s another problem with the treaty. 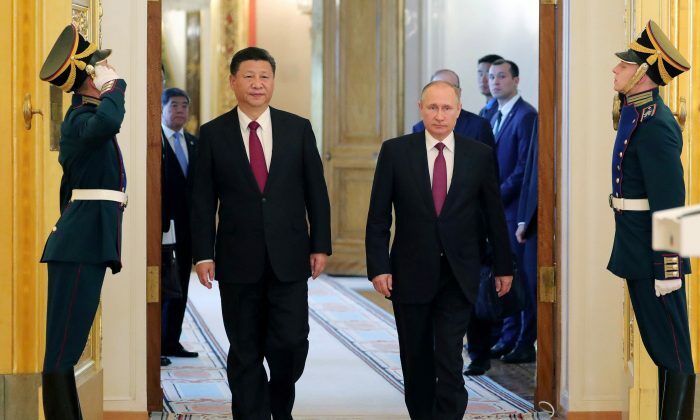 “Moscow contends that the treaty unfairly prevents it from possessing weapons that its neighbors, such as China, are developing and fielding,” stated the Arms Control Association. Russia’s military spending rose 50 percent between 2007 and 2017 to more than $66 billion, according to the Stockholm International Peace Research Institute (SIPRI), which provides independent evaluations of military spending. 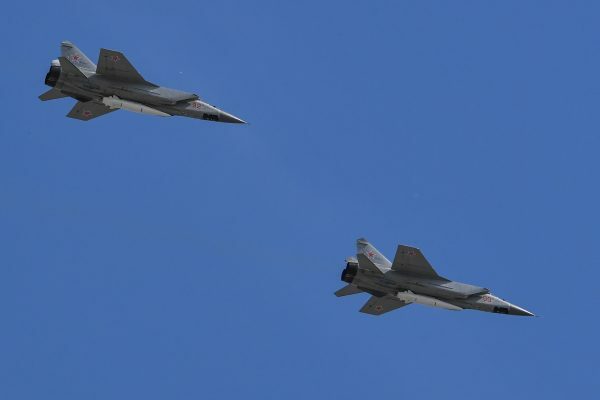 Putin boasted in March about new Russian weapons, including the hypersonic aircraft missile “Kinzhal” (Dagger) capable of “delivering nuclear and conventional warheads in a range of over 2,000 kilometers” or over 1,420 miles at 10 times the speed of sound. Russia, however, has struggled to maintain its military expansion amid economic woes in recent years. “The defence budget is now around 10 percent lower than its 2015 peak and is expected to be reduced by a further 5 percent next year,” said principal analyst at IHS Markit Craig Caffrey in December. China, on the other hand, shows few signs of slowing. Its military expenditures more than tripled between 2007 and 2017, reaching over $228 billion, according to SIPRI. For 2018, China proposed another 8 percent hike. Aside from building and militarizing artificial islands in the disputed waters of the South China Sea, China has been developing a hypersonic missile of its own capable of six times the speed of sound. In March, Trump announced the United States will form a sixth military branch—the Space Force. Trump has been known to seek negotiations from a position of strength. His anticipation of U.S.–China–Russia talks on reducing the arms buildup suggests he’s leaving the door open for a diplomatic solution.